I didn’t realize he was following me until I got to my house and he headbutted my leg while I was unlocking the door. 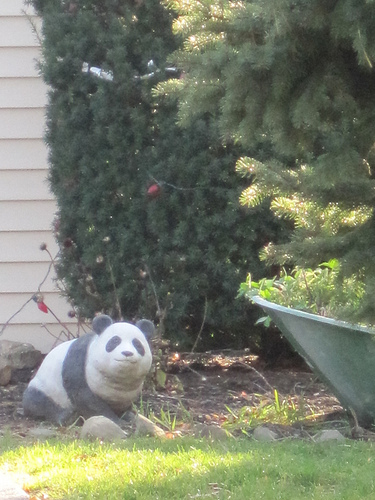 He’s kind of stealthy for a panda, but he’s small-ish, about the size of a medium-sized dog or an overweight cat, and he doesn’t make much noise. I didn’t let him in, I’m not sure why. I guess pandas seem like wild animals regardless of size and whether or not they turn up unexpectedly on suburban sidewalks and enjoy pets on the head. The panda whined and pawed at the door after I went in and that night he slept on the porch swing curled up like a black and white pillow. The next day when I went outside he brought me a small branch and for a moment I thought he wanted to play fetch but then I realized he’d trimmed all the bushes, better than the gardener ever did. After he helped me hang the holiday lights I decided I should let him come inside. 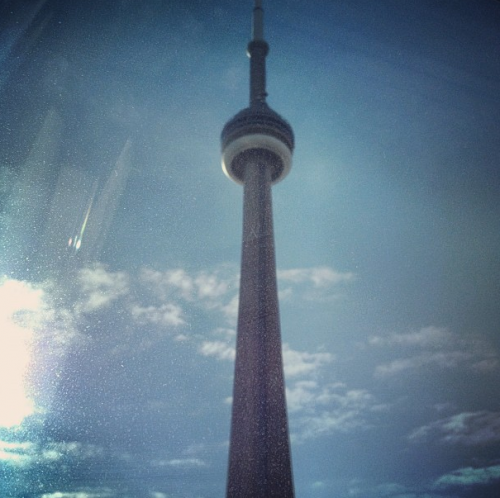 Isn’t it pretty? I am delighted beyond measure that the circus is inspiring such loveliness. This post started as a random collection of things I’ve been listening to & watching lately but then it started wandering into thinky thoughts about input mode versus output mode which is something I think I’ve blogged about before, and I am still very much in input mode right now. So here’s a bit about the stuff I’ve been absorbing. I have seen more movies this month than I did total in the previous year or so and I will tell you about them! Briefly. First there was Cloud Atlas which I saw almost immediately after finishing the book so I was likely better prepared than most and I was surprised how much I enjoyed it. (I enjoyed the book, too, though not quite as much as I’d wanted to. Partially because I liked the middle bits more than the outside bits.) It’s pretty and I liked the choices made with the story structuring. Also the china shop dream sequence bit was worth the price of admission it made me so happy. That said, I worry it would make absolutely no sense to anyone who didn’t read the book. And I’m looking forward to watching it again on dvd because I’m almost more interested in hearing people talk about it via commentary than the actual watching part. This past weekend I saw Life of Pi which I read ages ago when the book first came out and I thought the film was lovely, the visuals were gorgeous and I was glad they stuck so closely to the narrative of the book, particularly at the end. In non-book adaptation movies, Skyfall was awesome. I’m not a huge Bond girl but I loved Casino Royale and I really liked this one, too. Particularly the opening credits. In other media, I’ve been playing video games. I am not much of a gamer but in the last couple weeks I got vaguely obsessed with Portal & Portal 2 and they made me happy, because they are the thinky sort of puzzles that I love and also the writing is fantastic. 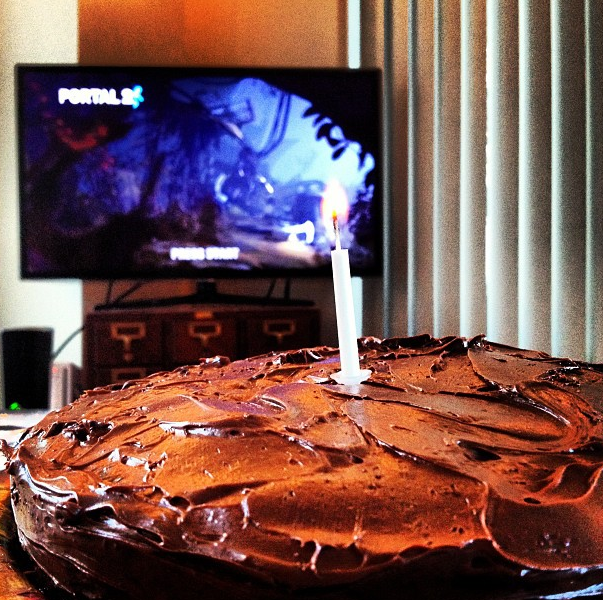 Also they gave me an excuse to have cake. I’m finally getting better about acknowledging the fact that all this is productive, even though it doesn’t seem like work. I’ve spent a lot of the last year and a half in circus promo mode and it’s hard to crawl back into the writing cave. Well, no, crawling back in the cave is easy, the difficult part is writing and not just curling up with the bats and taking a cave nap. So I need to wander around outside the cave for a bit and see what there is to see, to get my brain re-acclimated to being creative. And I like finding those things in non-book forms, I find sometimes stories in film or tv or game or theatre or painting or song form spark ideas just as much if not better than reading other books does. They stretch the imagination in different ways. I think it’s a Julia Cameron Artist’s Way thing about “filling the well.” About taking time to see and enjoy and absorb new stuff to get your creative brain going. That’s mostly what I’m doing at the moment when I’m not stressing about moving and catching up on life and wondering how it is tipping into December already. 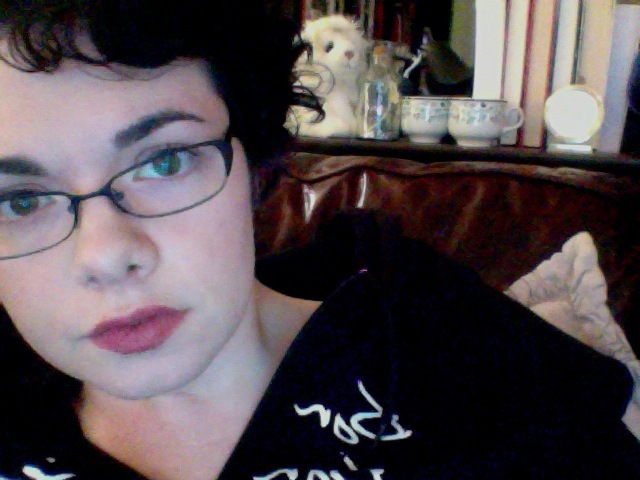 Absorbing things and drinking tea and letting my brain soak up the good bits. Sooner or later it’ll bubble over and then we’ll tip back into output mode, I’m sure. Since we started with music we shall close with music, too. Things I’ve been listening to beyond the mentioned-in-Toronto Andrew Bird include the new Bat for Lashes album and the constantly-in-my-head Adele Skyfall theme, but mostly I’m totally late to the party getting into Of Monsters and Men and I cannot stop listening to this album. My therapist recommended the whole nature retreat thing. She pointed out how much vacation time I’d accumulated and pontificated about stress and also she threatened to call my boss if I didn’t go, which didn’t seem particularly ethical but I didn’t want to argue with her. I had to lock my cell phone and my laptop in a box when I got here. The bearded guy in the office said he was going to bury them in the garden for the week but I think he was joking. He gave me a notebook and a fountain pen which is actually really nice to write with. I like the way the ink soaks into the paper. Mostly the staff leaves the residents alone and everyone is friendly in a quiet sort of way, but if you need anything you can ask and they’ll help. On my second day I asked for a new notebook since I’d filled the first one already, with thoughts and poems and little ink stars. The bearded guy gave me three more and suggested a good writing spot, showed me the right path and told me to keep an eye out for the sign, which was easy to spot because it’s painted in bright blue and happy yellow flowers. 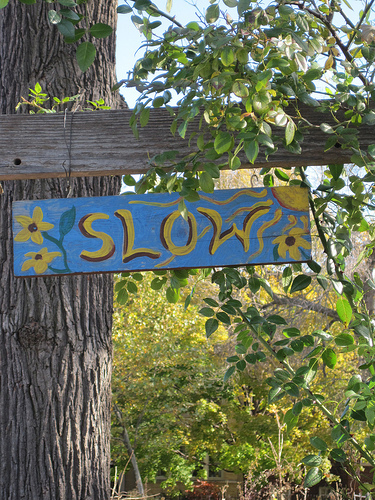 He didn’t explain why the sign says “slow” but once I’d filled an entire notebook only to look up and see that the sun had only just barely moved from the same spot in the sky where it had been when I started writing, I figured it out. Considering the fact that a comment I received on the blog yesterday reduced me to a sobbing mess for a good hour (it was not just the comment, the comment was the back-breaking straw on a terribly stressed camel of a day) I feel it would be wise to disable comments on the blog for a while. I have been historically lousy about replying to them anyway. I am terribly fond of the internet but I am also a sensitive person which is not always the best combination for being a fairly public figure on said internet. And the most hurtful things seem to reach me via blog comments. This particular comment (which I did not approve for posting) derided me for sounding like an over-excited schoolgirl on NPR, going on at length about my repeated use of the word “like” and other such evidence and mainly, I think, implying that I should be able to speak as well as I write. In thinking about it now that I am slightly more clear-headed, I am (and have always been) wary of expecting someone who can express themselves properly while typing to be able to accomplish the same feat with their tongue with similar ease, especially on the spot. I am more skilled with my fingers, at least in that capacity. I wrote a flax-golden tale about it. I have social anxiety that ties my tongue more than might be considered normal. Sometimes I am reduced to making wordless noises and I end up sounding something like a baby bird in order to express myself properly vocally though I try not to do that in interviews. And the commenter did not mention this, but I giggle. Shamelessly. Whenever I can. Sorry. Working with words in writing is a different animal than working with them in conversation. I also have a lot more practice with one rather than the other. Yes, this is one comment in a sea of lovely comments (though there have been other upsetting ones in the past) but I think my initial stressed-out reaction is a good enough reason to suspend blog comments for a bit. I am almost always reachable on Twitter for any blog comment-esque thoughts you might want to express and I might re-enable comments at some point in the future. 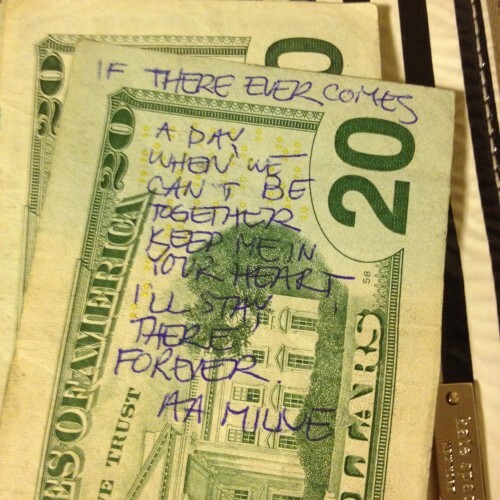 For the moment I’m going to stick to comments I find unexpectedly in my wallet. The mailman noticed the vampire before I did. He mentioned it to me when he delivered a package that needed a signature. He said it was a small vampire, probably nothing to worry about but he thought I should be aware. I thanked him but I didn’t really believe it until I saw the vampire myself, standing outside in a black and red cape. He is a very small vampire, maybe about two feet tall. 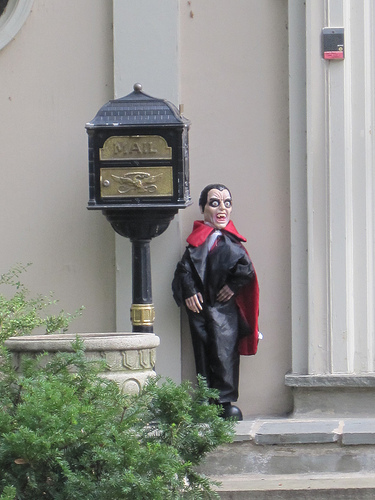 He lurks around the mailbox and occasionally tries to reach inside but he’s not tall enough. The sunlight doesn’t seem to bother him, but if I open the door when he’s there he hisses like a cat and disappears into the shrubbery. I decided to see if he was actually trying to steal the mail so I “accidentally” dropped an unimportant letter on the ground and went back inside to watch him through the window. The vampire creeped out of his hiding place and very carefully peeled the stamp off of the letter. He took the stamp and disappeared back into the shrubbery and I haven’t seen him since. I am in Toronto, last night’s Read for the Cure event with me and Vincent Lam and Audrey Niffenegger was absolutely lovely and raised $38,000 for cancer research and I cannot imagine a better way to finish with book events for 2012. Partially because I got to reach the mythic nothing-on-the-calendar stage in this city which I have visited so many times in the last year or so that it feels familiar and friendly, even though there are little banners on the street that say “Welcome to Toronto, We’ve Been Expecting You” which is kind of creepy. So I’m sitting in my hotel room with an extra-foamy cappuccino facing an empty calendar and I’d forgotten what this feels like, as it’s been a year and a half or more since the calendar was properly empty, but so far I like it. 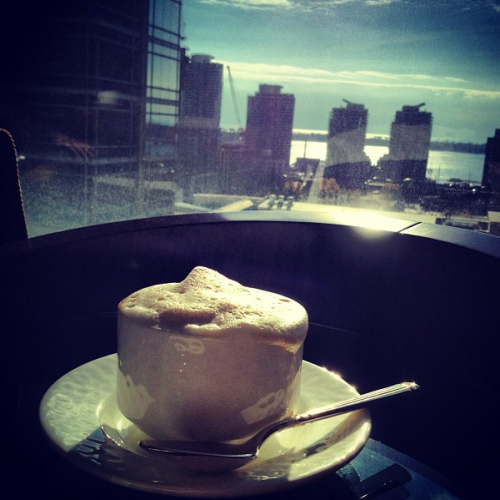 I am going to drink my cappuccino and also eat as much food as I can while I’m here because this city has fantastic food (went to the new momofuku Toronto on Monday night which was so, so delicious, particularly the pumpkin soup and the halibut) and then back to Boston where the main things on the to-do list are moving related (the logistics of the actual moving are, as of this writing, still up in the air) and then hopefully there will be moving and holidays and then it shall be 2013 and I think it will be a good year because 13 is my favorite number. I’m sure there will be appearances and signing things and such in 2013 but nothing is scheduled and the first half of the year, at least, will be very much about writing, which I am excited about. I’ve spent a lot of time in other places and it will be nice to retreat back into my head and spend some quality time with my imagination and the new-not-yet-novel characters that have been waiting (in some cases rather impatiently) for me to pay proper attention to them. I realized I haven’t done that capture-the-moment-in-song thing lately (had that for the end of tour 2011) and while I’ve had more moment-appropriate songs, this is the one that’s been on my iPod and in my head as I type this in a Toronto hotel room, so I suppose that makes this the song for the end of the tour, 2012 edition. It didn’t take long to learn to keep my head down so I wouldn’t have to look at anyone during my walk, and the fact that it meant no one could tell if I was crying was an additional bonus. It was easier, really, since the pitying looks of passersby only made me feel worse. Staring downward, I counted bricks until I knew exactly how many I stepped over during each possible route. I continued to stare at the bricks even after they’d all been counted. For a while I tried to find patterns in cracks and chips and uneven corners. Anything to avoid looking up. Then the bricks started talking to me. I thought the messages were random diminutive graffiti until they occasionally addressed me by name. Some days they spout fortune cookie-esque wisdom, other times they compliment my socks. 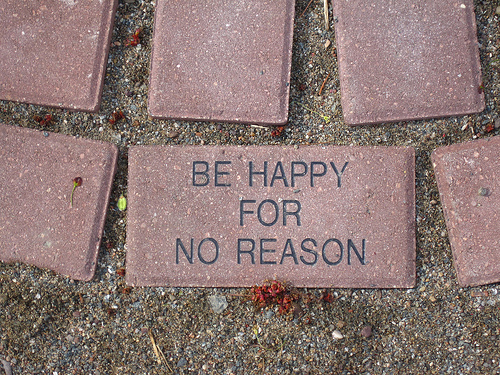 I take extra walks now, to see what the bricks have to say, and sometimes I get so distracted by looking for the messages that I forget to cry. Hi internet, I avoided you for a little while and I forgot to tell you first. Sorry about that. I’m also sorry I am still lacking in time for proper blog posts that involve thinky thoughts and not just quick updates and occasional kitten photos (warning: this post will not contain kitten photos as kittens are currently being kitten-sitted because I leave tomorrow for a week or so of travelling). I feel bad about that and I hope that this winter that shall henceforth be known as The Winter of Writing Hibernation involves proper blog writing as well as novel writing, which is of course the main point of the Hibernation. Also my brain is not so good at thinky lately. I suspect it is still quite tired from being so busy over the last year and a half. I find when I am not actively busy with something that requires immediate or time-sensitive attention my brain says “can we sleep now? or at least not think?” regardless of time of day. I’m trying to be nice to it and feeding it books and avocados and other brain-happy things. I suspect it will still need some time to recover from the whirlwind, not that the whirlwind is completely non-whirly yet. Off to Minnesota tomorrow, Toronto next week and then after that the travel will be finished but then I need to move, trying not to think about that too much just yet. I just picked up my mail and had two galleys (one unsolicited, one expected) to add to the unmanageably tall pile of quote-requesting galleys along with a package from Random House that had my name misspelled on the label. In email mail I have a not-yet-completely-final schedule for Minnesota. I should probably pack. I will likely wait and pack in the morning. I should do my nails today, though. First I need to finish this post and also finish Friday’s flax-golden tale and possibly figure out dinner. Oh, and laundry. The top slides up the handle to open and it’s in really good condition. 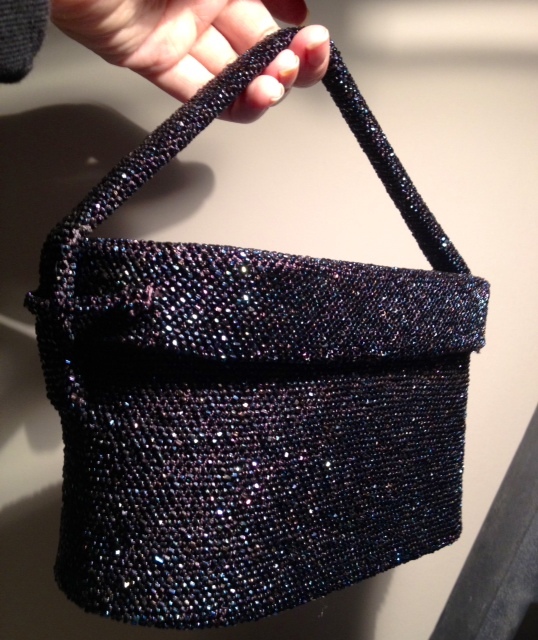 Also, I love having an evening bag that doesn’t fall over when I put it down. Also also, sparkly. It’s practically dark outside even though it’s not quite 4pm as I type this and it reminds me why I hate/love this time of year, with its early darkness making me sleepy and cold. I want to curl up with warm beverages and tall socks. It’s starting to feel like winter already, you can smell it in the air. I will like it better when there is proper snow and twinkly lights on strings. I suppose this is enough babbling for now and I should get to the non-babbling things on the to-do list. I’ll try to babble more coherently relatively soon. I hope your days are merry and bright, even if it is early to wish such things. The house is one of those beautiful old types with creaking doors and long dark hallways that looks like it should be haunted but it isn’t. The realtor assured us as much when we moved in, even showed us the historic records. I think she did it mostly to prove there were no records of any deaths occurring within the house’s walls despite its age. We didn’t have any strong beliefs about ghosts one way or another, so we bought the house more concerned with the plumbing and the electrical system than anything else. In retrospect I wish we’d at least thought to inquire about the yard. We started seeing them not long after we moved in. Little glimpses of bright white shadows caught through windows or out of the corner of eyes while on the front walk or out in the garden. They’re small. 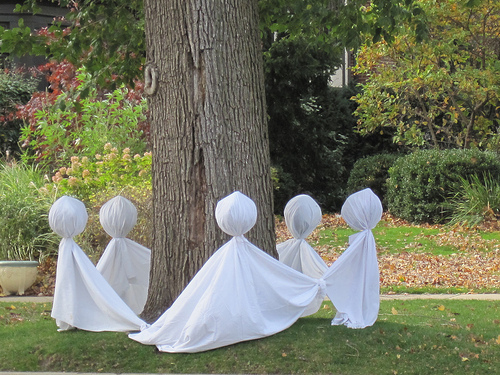 They like to play games, like hide-and-seek or ring-a-ring o’ roses. At first they’d disappear if they saw us looking, but lately they’ve been lingering and I have a feeling once all the boxes are unpacked and they know we’re going to stay a while they might ask us to play. Happy November! November is National Novel Writing Month! I am not going to write a long involved post about NaNoWriMo. I will instead say a few short things and give you links to long involved things that I have written about NaNoWriMo before. The Night Circus did indeed begin life as a NaNoWriMo project. In fact, the *idea* for the circus turned up unexpectedly in a NaNo project the year before. I have not participated properly myself since ’09, though I’d love to do it again sometime. I did a single day of solidarity last year and wrote 5k or so. I am considering taking a handful of days in November and seeing what I can manage. I do not and will not ever understand the general anti-NaNo sentiment that crawls around the internet, hissing, this time of year. I understand not liking that people query NaNovels on Dec 1 (there’s a lot about that in one of the linked posts below) but the general dislike for it baffles me. It encourages people (like me) who might not have actually sat down to write otherwise to sit down and write. To reiterate: I cannot fathom disparaging anything that encourages storytelling. Yeah, I bolded that, even. To all of you 2012 NaNo-ers, I salute you. I wave flags of encouragement and wish you happy writing and delicious snacks that don’t make your fingers sticky for ease of typing and I hope you surprise yourself over the next 30 days. This is my official NaNoWriMo pep talk from last year. This is the aforementioned blog post that is a lot about drafts and also analogies about birds. Happiest of Happy Autumnal Novembers to everyone, because I am all about the happy-wishing lately.